The story of Russia is one of wild swings; these books help us understand them. Robert Service, a professor of Russian history at Oxford, has written 12 books, including biographies of Lenin, Stalin and Trotsky. In his new book, “The Last of the Tsars: Nicholas II and the Russian Revolution” (Pegasus, $29.95), he documents the final months of the last royal ruler of Russia and his family. The story of how Nicholas and his family were murdered by the Bolsheviks has been told many times, but Service brings forensic detail to events, giving his account a you-are-there quality. Nicholas, a disastrous ruler and hidebound anti-Semite, was capable of great tenderness with his family, especially during the months of their detainment by the Bolsheviks. It’s hard to remain unmoved by scenes of this loving father reading “The Hound of the Baskervilles” to his family to make the tedious hours roll by. The murders of Nicholas and his family, plus many other Romanovs who were tracked down and killed, were a grim harbinger of the brutality that would become routine under the Bolsheviks and their eventual successor, Stalin. In 2015 Svetlana Alexievich won the Nobel Prize for literature for her body of work documenting the real lives of ordinary Russians. Frequently censored by whatever government was in charge, her books are now being rereleased in the West, including “The Unwomanly Face of War: An Oral History of Women in World War II” (Random House, $30). William Taubman won the 2004 Pulitzer Prize for his biography of Nikita Khrushchev, the Russian leader who led his country through the post-Stalin years. He’s just published a new biography of an equally fascinating figure. 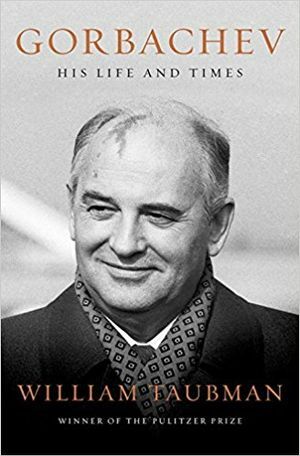 “Gorbachev: His Life and Times” (Norton, $39.95), tells the improbable story of Mikhail Gorbachev, the eighth and last leader of the Soviet Union, the man who led his country through the collapse of the Communist regime and the brief flowering of the freedom-loving perestroika era. Taubman seems to have talked to every one of Gorbachev’s friends and enemies and conducted extensive interviews with the man himself. Gorbachev came from the humblest of beginnings — the son of peasants, he won entrance to the prestigious Moscow State University in part because of his award for bringing in bumper wheat harvests. Though he became a Communist Party member and leader, from his earliest days he was repelled by the party’s evasions and contradictions, and the indignities heaped on average Russians by party bosses drunk on their own authority. A man of extraordinary vision and personal charisma, though he was ultimately ousted from power, the events he set in motion unleashed his country’s yearning for something better, with consequences that still play out today. Though I have written about it before, this list would not be complete without Masha Gessen’s “The Future is History: How Totalitarianism Reclaimed Russia” (Riverhead, $28). Gessen, a Russian journalist and longtime Vladimir Putin opponent, had to leave her country when, in the name of “family values,” Putin’s regime began talking about taking gay parents’ children from them. She won this year’s National Book Award for best work of nonfiction for this extraordinary book, the story of the brutal repression of democracy and the snuffing of human rights in Russia since perestroika, told through the experiences of four Russians who have lived much of their lives under Putin. Gessen writes with deep authority, sorrow and anger, but she manages to see humor in the direst of circumstances. This is a landmark book. Finally, if you want a shorter version of current events in Russia, check out the latest issue of the Atlantic magazine. Staff writer Julia Ioffe’s “What Putin Really Wants” goes beyond the conventional boogeyman image of Putin to document the range of challenges he faces in holding Russia together. The fact that there’s no apparent succession plan for Putin means that Russia once again seems destined for chaos and epic change.